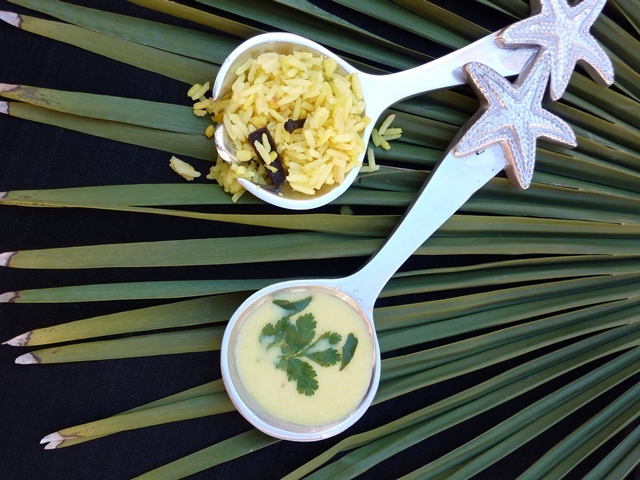 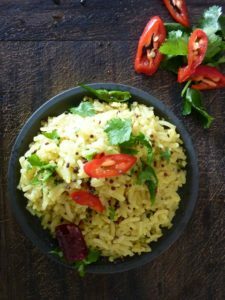 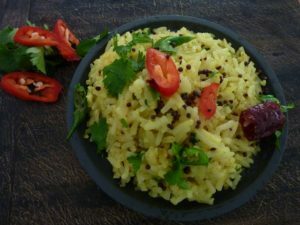 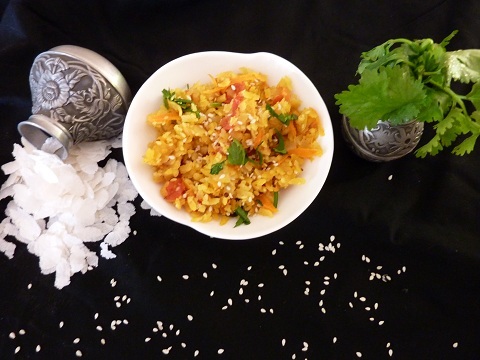 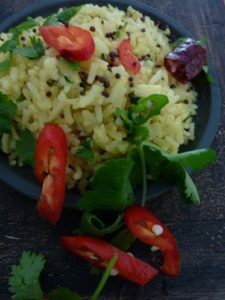 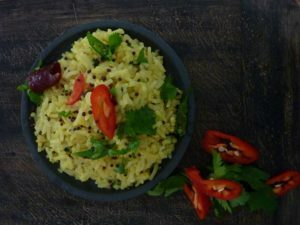 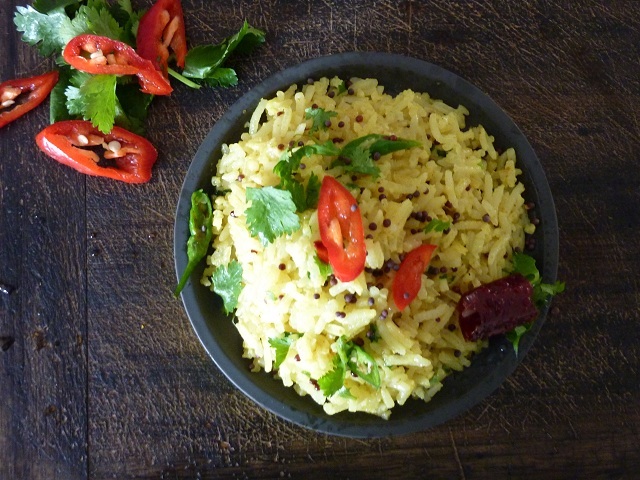 Vagharelo bhaat (tempered rice) is a rice dish similar to a vegetable pulao – but with pumped up flavours, nutrition and made using leftover cooked rice. 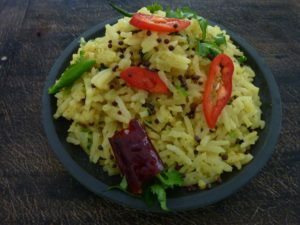 It is a typical Gujarati dish and like all recipes – each family in Gujarat have their own special recipe of making the dish. 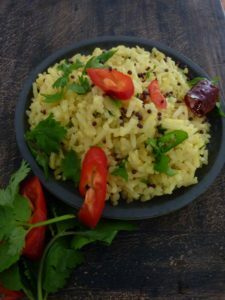 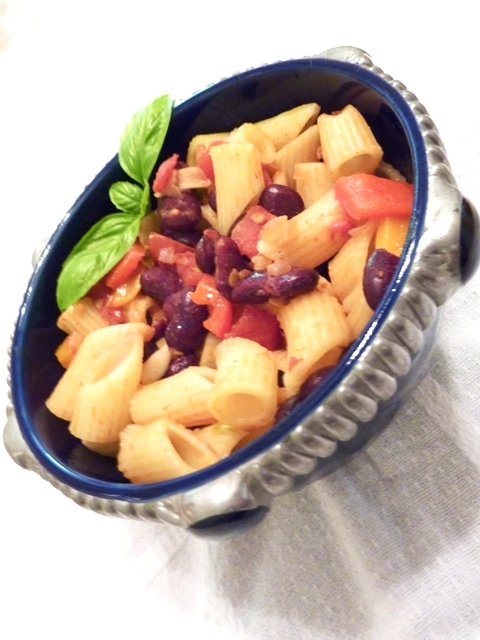 It is a fairly balanced meal in that it has carbs, protein and some veggies – by adding some veggies, peanuts and playing around with your spice combinations – “voila” you have a tasty and nutritious rice dish.